Whether the vessel is the office or the HMS Beagle, to survive, you’ve got to find a way to change with the times. 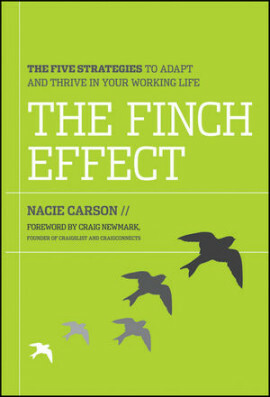 “Finch Effect” author Nacie Carson talks with Fast Company about the benefits of owning your career and why natural selection is not survival of the strongest. Call it vocational Darwinism: Seeing similarities between the Galapagos Islands and our recession-era ecosystem, Nacie Carson wrote The Finch Effect to help you be more like those titular birds–which adapted their beaks to environmental changes within a single generation–and less like the species that have perished around them. Fast Company spoke with the author about the evolutionary benefits of owning your career, the intersecting axes of personal branding, and why natural selection is not survival of the strongest. FAST COMPANY: The Finch Effect is all about adaptation. What is it that we need to adapt to? The truth is that because of different factors like outsourcing and how fast communication happens, the pace at which changes in the job market happen is not going to slow down. It’s really important for individual professionals to be aware that the price of poker is going up and to really take responsibility for our own careers into our own hands–instead of placing them into structures that might not be able to adapt as well as an individual could. How do you take that responsibility? I spent several years freelance writing, and one of the really great things about that experience is that the onus is completely on you for making yourself financially stable, but also directing your own career. The question of what’s next? is not the question that you ask the corporate structure that you’re trying to climb the ladder in; it’s a question you ask yourself. There are things we can do on our own to go out and get new experience, to diversify our incomes sources, and to help us be more buoyant as things might change in the job market. So how do we add to our buoyancy? The first piece is really the shifting of this perspective. Once you’ve done that, I think understanding the professional brand that we’re sharing with the world and taking the lead in terms of that is key. All of us are emitting a brand at all times whether we are aware of that or not, and if we understand that, we can have greater control of the message that we’re sending to other people. Additionally, take responsibility for our own professional development when possible. It’s important for professionals to be comfortable and willing to hold up their hand to get more skill development, to improve the skills they’re already great at, and not wait for a company to do that for them, to really take ownership of their own skill development. Think of yourself as someone who can collect different opportunities. That might mean in your company thinking strategically but acting like an employee. Thinking like an entrepreneur, acting like an employee, it might mean seeking additional opportunities for yourself outside of your full-time job, some tangential gig opportunities to develop your skill set and your resume, or it might mean entertaining the concept of actually stepping out and becoming a full-time freelancer or entrepreneur. 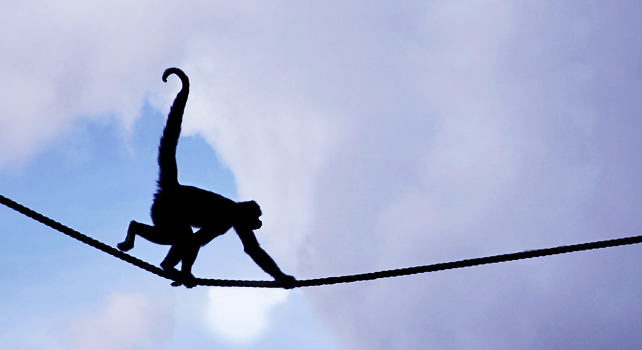 What are some first steps toward taking control of that personal brand? The really important first step is understanding that you have one whether or not you’re purposefully trying to send one out. People are going to be attaching adjectives and descriptors to you all day, every day, and it’s your responsbility to grab onto that and potentially shift those adjectives, if necessary. Like all brands, it’s important that you’re speaking to your market about what your brand offers in a language and context that they’ll most hear. So what are the axes of branding? There is a huge online component. Your Facebook and your Twitter and your LinkedIn, and all of your social media profiles, and your blog if you have one–they all reflect your professional brand. I think really leveraging Twitter as an individual is a powerful social media way to brand yourself. I think you can do that by sharing articles that reflect something that speaks to your brand’s mission statement, or providing a service of some kind, sharing a tip for other people, or engaging in conversations, or reaching out to experts, or even job recruiters who are active in the brand space you’re working in. There’s also the in-person axis. We forget that there’s also a need to ensure that we’re transmitting the right message in terms of our physical presentation, the way we articulate ourselves, the ability to make eye contact with people. It seems the antecedent to this personal branding is knowing one’s own strengths and weaknesses and interests. How does one go about obtaining that knowledge of self? For me, the strategies that I’ve found valuable to get to the heart of these things is really being able to ask yourself the right questions and give yourself an unvarnished answer. One of the questions I really love is, “How am I seen by other people, or how do I think I’m seen by other people, and how do I want to be seen by other people professionally?” And then the next question is, “What am I doing to project how I want to be seen? How am I supporting that vision, and how might I not be supporting that vision?” One of the great things that you can do is ask the people who you’re close to. The Finch Effect is about professional evolution. How does one become a member of the fittest, if it’s the fittest that will survive? The way that one becomes a member of the fittest is by learning to be adaptable–in this case that adaptability is empowering yourself to make decisions and drive your own career. It’s funny because when you say “survival of the fittest,” people are like, “oh yeah, dog-eat-dog, only the strong will survive,” like it’s some sort of a WWE match. It’s not going to do anybody any good to be the strongest, or the biggest, or the meanest kid on the playground if they can’t change with the times. There is such a powerful lesson in that core message that you don’t need to be the best or the strongest or the brightest–you just need to be able to change and to grow, and that’s going to take you a long way to being successful. For more from the Finch Effect, read this week’s excerpt.